A true winner amongst 2017’s new cars for sale, the redesigned 2017 Honda Ridgeline has been styled to look more like a conventional pick-up while retaining the spacious interior comfort of an SUV. What’s more, a combination of existing and new innovations gives it a variety of features that no other vehicle in the mid-size pick-up market offers. With gross combined weight rating of 8,201 pounds on two-wheel-drive and 9,986 pounds on all-wheel-drive models, the 2017 Honda Ridgeline has improved towing capabilities. The truck also has a pick-up-bed wide enough to fit a quad bike, clever storage spaces under the back seats, and a ‘trunk’ in the pick-up-bed. Although Honda’s 6-speed transmission has been retained, adjusted gear ratios make for a quick response from a dead stop and quick transitions. Suspension has been completely revised, resulting in a smooth ride on the open road. It also boasts one of the quietest interiors on the market, with sound insulating materials to reduce road-induced noise. 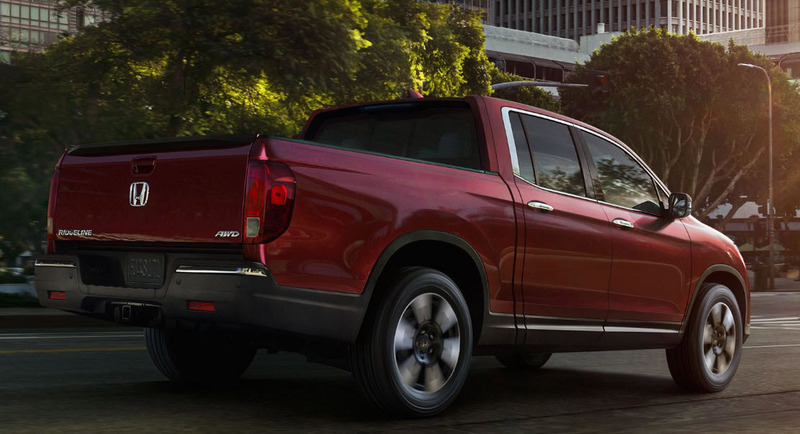 While the 2017 Honda Ridgeline is not as rugged as some of its body-on-frame competitors, it handles more than adequately. In addition to redesigned suspension, a torque-vectoring all-wheel-drive system allows drivers to select driving conditions (normal, snow, mud, and sand) and let the onboard computers handle throttle response and traction control. 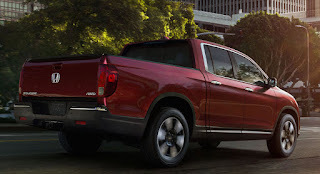 For more info or to view the 2017 Honda Ridgeline at a car dealership in Olympia, visit Olympia Auto Mall today.